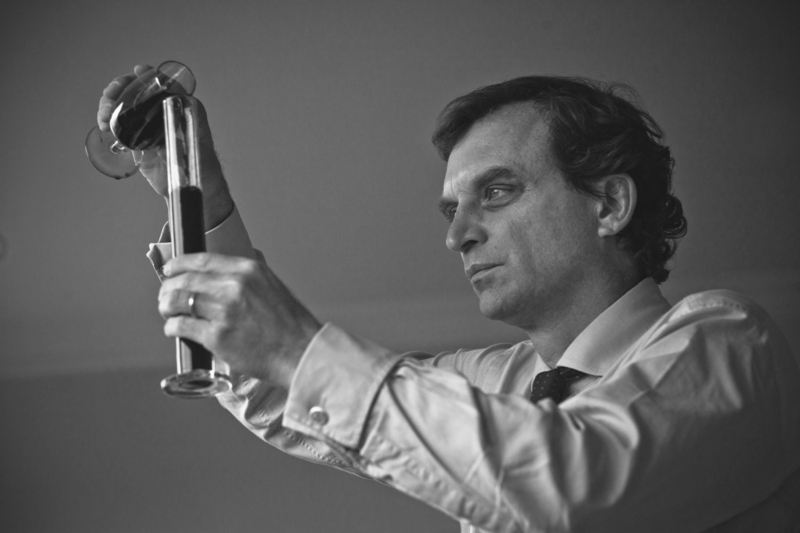 Whilst the majority of Port is now made with modern methods using state-of-the-art vinification technology, a small proportion is still produced by the time-honoured method of treading. In either system, fermentations are relatively short (about two days) because Port is a fortified wine. Fortification, which involves the addition of natural grape spirit to the fermenting juice, intentionally interrupts the fermentation process at a point when approximately half of the grapes’ natural sugar has been converted into alcohol. This accounts for Port’s characteristic rich, luscious style and also contributes to the wine’s considerable ageing potential. Given the short fermentation cycle it is crucial to extract as much flavour, colour and tannins as possible from the grape skins. Warre’s continues to make some of its Port by treading in stone ‘lagares’ (shallow treading tanks). The Upper Douro is one of the last places in the world where traditional treading has been maintained. This is not done to entertain visitors but quite simply because it continues to produce some of the best Ports. However, the old lagares require manpower, an increasingly scarce resource in the Upper Douro and temperature control is difficult. In order to address these problems, Warre’s winemaking team developed the world’s first purpose built automated treading machine. This ‘automatic lagar’ is a low and square stainless steel tank fitted with mechanical treading pistons whose gentle movements replicate the action of the human foot by actually treading the grapes against the floor of the tank, unlike other methods recently introduced to the Douro which simply push the ‘cap’ down into the juice beneath. Trials with the prototype started during the 1998 vintage and were continued with further development during the 1999 vintage. By the 2003 harvest, six automatic lagares had been fitted in the newly refurbished winery at Quinta da Cavadinha and they were to immediately prove their worth, making simply outstanding wines. They have produced Ports that surpass the quality of traditional foot treading lagares, while at the same time eliminating the latter’s shortcomings. The introduction of Warre’s automatic lagares has proven to be a landmark in winemaking in the Douro Valley.